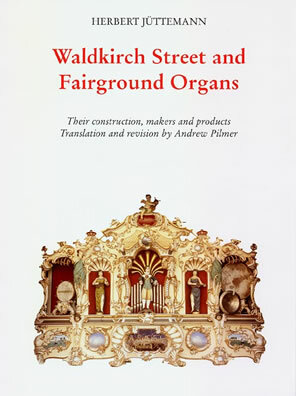 After three year’s preparation, Dr Herbert Jüttemann’s excellent book about German mechanical organs, Waldkircher Dreh- und Jahrmarktorgeln has been translated into English by Andrew Pilmer under the title of Waldkirch Street and Fairground Organs. Dr Jüttemann has already published a number of books on mechanical music and related subjects which have become standard works; this is the first to be translated into the English language. 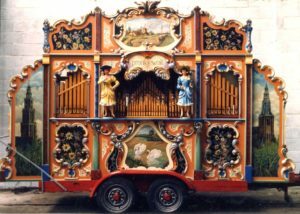 Waldkirch Street and Fairground Organs gives, in its first part, a detailed technical insight into organs built in the famous Black Forest town of Waldkirch, including pipework, actions, wind chests, register changing, percussion, bellows, music roll systems and so on. The second part of the book studies each of the various firms active there, and discusses their products, peculiarities, scales and dispositions. A special section in full colour illustrates 49 Waldkirch-built organs, and the whole text includes over 330 drawings and black and white photographs. 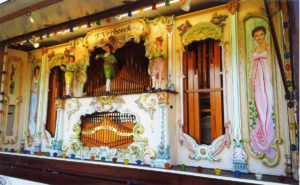 A valuable appendix gives the scales of many fairground and concert organ-types built in the town, and one chapter deals with the typical music played by these instruments in Germany. There is a full index. With the co-operation of Dr Jüttemann, the original German text has been completely revised, and a number of new drawings have been specially prepared for this new edition. The format has also been slightly enlarged to 238 by 170mm, giving greater clarity to some of the line drawings than before. Printed on quality art paper, hard bound and with a full colour dust jacket, the book has 300 pages. Germany: It is usually available to visitors in the Gift Shop at the Elztalmuseum, Waldkirch. United States: Philip Jamison, 17, Sharon Alley, West Chester PA 19382. 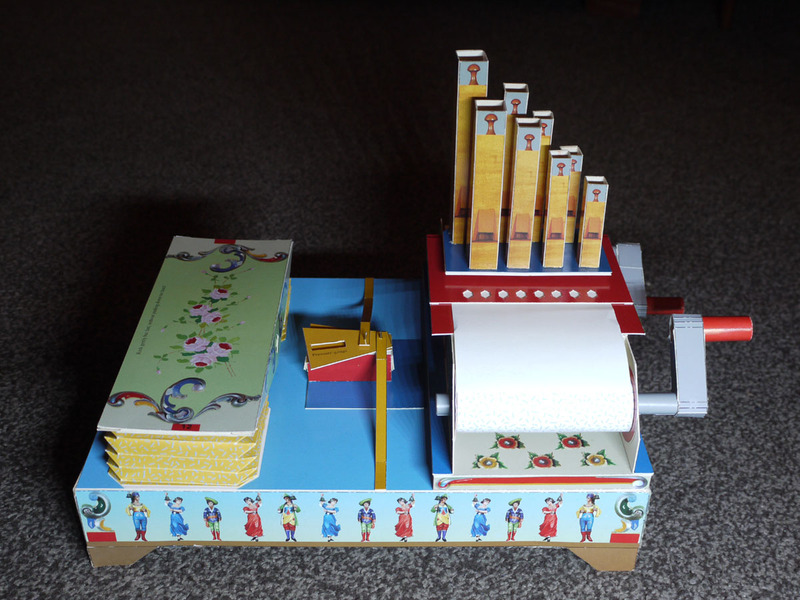 NO FAIRGROUND ORGAN ENTHUSIAST SHOULD BE WITHOUT A COPY! Contact us if you have difficulties in locating a supplier anywhere in the world or would like to become a stockist yourself.